UPDATE 9am: TENANTS of a Yeppoon home were woken in the middle of the night to a man banging on their door making demands before he damaged their car and home. 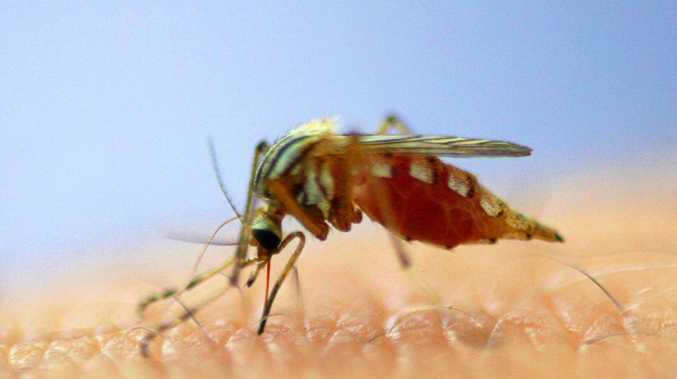 Around 1am, a man came to their home demanding to speak to a person that was not there. The 21-year-old man had previously damaged a Rockhampton car after stealing a family vehicle from a Morinish property on a rampage through CQ. In his frustration, the man then proceeded to get back into his car and rammed their car which was parked in the driveway. Extensive damage was caused to their car, their rented home, the fence and trees in the yard. A neighbours car was also damaged. Police eventually arrested the man back at this property after a lengthy pursuit. He was charged with one count of unlawful use of a motor vehicle, three dangerous driving charges, six wilful damage offences, one count of fail to stop and one unlicenced driving charge. The man appeared in Rockhampton Magistrates Court today. 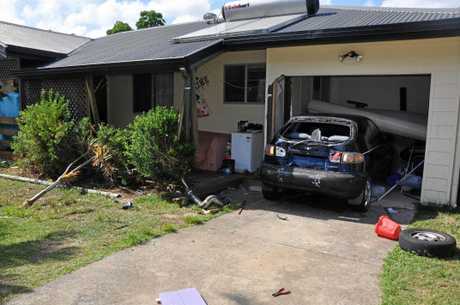 BREAKING: A MAN was arrested this morning after an overnight rampage through Central Queensland where he drove a car into multiple vehicles and even a house. Queensland Police Service were first notified around 10pm on Sunday night of a 21-year-old man who stole a family car from his property at Morinish and drove to Rockhampton. The man reportedly drove the car into another vehicle on Booker St, Park Avenue before driving to Yeppoon. 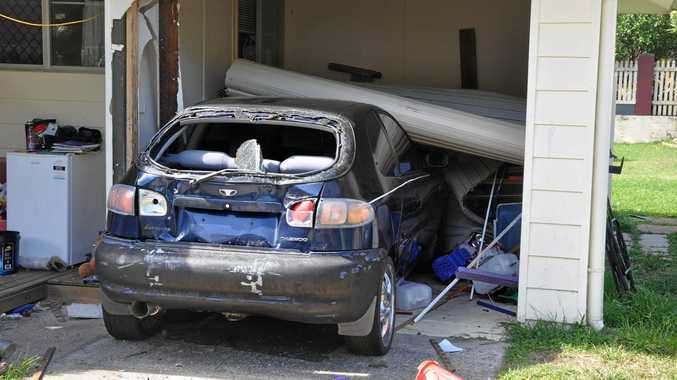 He then rammed another car on Holt St before driving his vehicle into a house. A police pursuit commenced to Kalapa where officers managed to force him off the road. The man did not give in to police demands and rammed the "rear of the police car" before speeding off. Police deployed road spikes at Stanwell but they were not successful. The man was located early this morning back at the Morinish property where police pursued him on foot to a creek bank. Police arrested the man around 5.40am. The man allegedly suffered a mental health episode.